Last week, I went to the London launch of Tamar Yoseloff’s new and selected poems, A Formula for Night, published by Seren. I have reviewed a couple of her earlier collections and she asked me to contribute a blurb to The City with Horns (Salt, 2011). We’ve known each other for many years and it has been interesting to see her work develop. What follows is a review of the new book, collaged together from new and old thoughts. 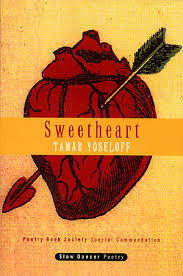 Tamar Yoseloff’s first book, Sweetheart, was published by Slow Dancer Press in 1998. The new Seren collection is dedicated to Lauretta Yoseloff, the poet’s mother, and right from the outset, in ‘Selfridges’ for example, she is a powerfully evoked figure. Here, she leads her young daughter around the up-market department store, brisk and efficient. As often later, the daughter’s priorities lie elsewhere, she drifts away, gets lost, ends standing mesmerized by the butcher’s counter: “lambs’ kidneys, calves’ livers, / sweetbreads, hearts”. The moment becomes a blood-stained Wordsworthian spot of time as even years later the child recalls the meat, “indelicate, hearty, more real laid out there / than anything that beat inside me”. The mother’s preference for delicacy and propriety and her daughter’s haunting sense of inadequacy and a fascination with death are articulated for the first, but by no means the last, time. 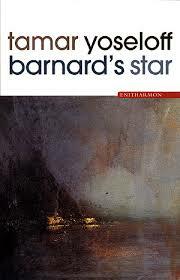 A second collection, Barnard’s Star (Enitharmon, 2004) contained many successful pieces presided over by the Robert Lowell of Life Studies. This went beyond the drawing on personal material (often from the poet’s American childhood), to the seemingly casual forms of the poems, the telling details, the tentative observer, the reined-in emotional tone, the particulars implying a wider social malaise. In ‘The Atlantic at Asbury Park’, the narrator re-visits a childhood scene now dilapidated (like Lowell’s Boston aquarium). Being told that “Annie and I would sit cross legged / in the bandstand, making plans” is as near as we are allowed to the emotional crux of the poem. Youth, ambition, friendship – Yoseloff’s vision is a mostly melancholic one as now only “the ocean is the same, / black for miles, white caps, grey sky”. In the poem ‘Partobar’ (sadly not included in the new selection), the narrator rides the horse of that name, watched by an unsympathetic instructor and “the other girls . . . their blonde ponytails / neat down their backs, their jackets perfect”. The social as well as personal battle-lines are effectively drawn up and the poem proceeds in utterly convincing, tangible detail: “I hit the ground, / dirt and blood in my mouth, my head like a bell clap / inside the hard hat”. The sense of ignominy is powerfully real – and frighteningly permanent. Even as an adult, she watches “braver girls trot around the field, / chins up, asses out”. She sees them at parties, with men who “whinny” their approval, while the narrator remains, re-living her failure, still daunted by the explicitly male horse, “my breasts like acorns beneath my vest”. A series of poems about her mother conjures a ghostly, curiously unphysical maternal image through the enumeration of clothes and other possessions. In ‘The Delaware and Raritan Canal’ she strides once more ahead of her daughter along the canal. There is no conventional closeness or emotional warmth; the reader gets the impression of a demanding, fierce maternal personality. The final stanza makes the daughter’s admiration clear: “But when she hits her stride, she could walk / all the way to the sea, arms sailing / forward, her course certain”. Yet even here the demands of the heart, of the human seem deflected as she sweeps past “the houses of ten thousand people”. In Tamar Yoseloff’s first book with Salt, Fetch, a fetch was defined as a stratagem by which a thing is indirectly brought to pass and (the more obscure meaning of the word) a wraith or double. Using direct and punchy quatrains, in ‘Fetch’ poems scattered throughout the book (but collected together in the new selection), the narrator casts herself as a stay-at-home girl while sending her double out “into the cold dark night”. The fetch cruises bars and is ordered to trail an unidentified man and later sleeps with him. This stratagem seems to allow for the playing out of the narrator’s illicit desires, though the double runs out of control and develops her own independence, leaving the narrator lonely, then resentful, finally murderous. These racy, blunt narratives are thrilling and the exploration of female freedom, restraint and taboo makes for vivid, exciting reading. to examine my every crevice . 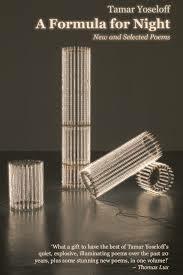 . .
the spleen, the coiled intestine . . . The sequence moves seamlessly and a little shockingly from passionate flesh to flesh and bone as it arrives at the collapse of a hill-top cemetery: “the graves / fall in on themselves, / marble crumbles to dust. // loved ones tumble / into each others arms, their bones / knit and form a whole”. The City with Horns continued to break new ground with poems that flow and rush and fizz in ways reminiscent of Jackson Pollock’s paintings and his declaration that the good artist must paint what he or she is. 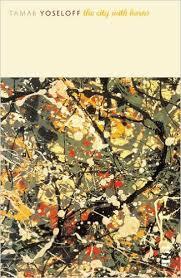 From the turmoil of Pollock’s life, Yoseloff powerfully re-creates a vision in which everything knots together, a way of seeing that is intoxicated by embracing “the gift of the street, / the glare of chaos”. But the horns of this next collection are profoundly ambivalent. If the central sequence (responding to Pollock’s life and work) overflows with plenty, then the outer sections of the triptych speak of emptiness and pain in a poetic voice more familiar, curbed and astringent. Here, Yoseloff continues to explore territory she has made her own in earlier collections: snap-shots and “little fables” of up-rooted individuals whose tokens, found objects and souvenirs struggle towards articulacy just as the concrete in her cityscape possesses “no lyric dimensions” (‘Concrete’). The more recent poems in A Formula for Night continue to offer few consolations. 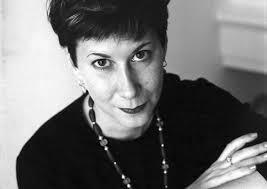 But the pay back for Yoseloff’s reader lies in the works chastening honesty, its ability to evoke a sensibility that feels never less than modern and – a notable achievement paradoxically – not immediately recognisable as the work of a woman. ‘Lace’ and ‘Swimmer of Lethe’ continue the preoccupation with death, treated now so directly that the haunting of Plath’s work is even more evident. ‘Construction’ paints a cityscape in which “the wrecking ball / opens another new vista” and is undeceived in counting the “[m]inutes to trash”. ‘Ruin’ invents a new poetic form in which a text is gradually shot to pieces as phrases, even letters, are gradually edited out, enacting the very process of ruination. Yoseloff perhaps finds her heraldic device in the rampaging habits of the ‘Knotweed’ with its “line of destruction // that moles its way beneath foundations”. Again echoing Plath’s tone of address to her mushrooms, Yoseloff admires the plant’s “calling: the felling / of our failing structures”. There are final poems here too about the mother figure. Her death in ‘Clear Water’ is movingly contrasted to another hospital visitor reading Seamus Heaney’s poem ‘Anahorish’ aloud in the ward. But even now, facing last things, the attentions of mother and daughter are at variance. The daughter knows and responds to the poetry; the mother sleeps through the whole incident and dies the following day. 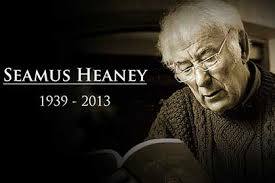 True to her vision, the poet notes Heaney’s death a few months later; she expresses an on-going concern about the other patient, “if he made it”; but the poem ends with nothing more said about the author’s mother. In ‘Skull’ the mother’s dead body is regarded as “a hollow case, all the life pulled out”. If this is shocking, it also represents a heroic devotion to telling the truth as it is experienced. A Formula for Night is a major collection and career summary and really ought to be both on your wish list and on prize shortlists in the coming 12 months. Hi Martyn, thanks so much. It’s a great survey of Tammy’s work.